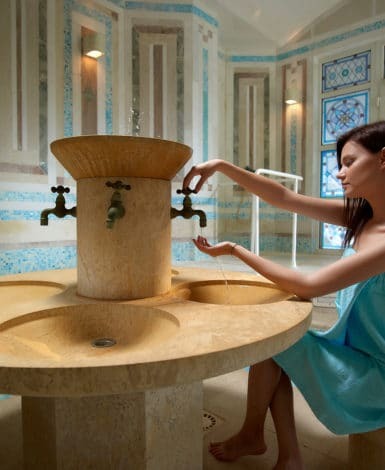 Dedicated entirely to your well-being, the Royal Olympian Spa & Thalasso seduces with its size, luminosity and serenity. In a luxurious space of 2,800sq.m., visitors can enjoy the treatment rooms, swimming pools, beauty and fitness facilities, all dedicated to their well-being. Our expert, multilingual staff, the exceptional quality treatments, the meticulous cleanliness, the prestigious surroundings, in a “big blue” backdrop… are an invitation to a place of wellness & utmost relaxation! What to wear: The Centre will provide you with a bathrobe, a towel, a bathing cap (required in all swimming pools of the Centre), as well as a pair of sandals. ALDEMAR has the exclusive distribution of the French beauty products Thalion. We will be more than happy to send products to your home address, all year round. Indicated Thalasso prices are not included in your hotel room rate. All programmes and treatments are subject to availability. 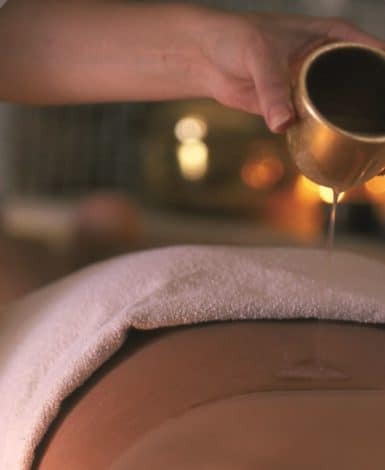 Kindly be advised to book treatments ahead of time, by calling #1802 directly from your room. Entrance permitted for clients over 16 years of age. Sauna, Hammam & Fitness Area: Free entrance for clients having an Elements programme of 4 days and more. The company reserves all rights to modify programmes without previous notice.